His Holiness the 14th Dalai Lama, Tenzin Gyatso, is the spiritual leader of Tibet. He was born on July 6, 1935, to a farming family, in a small hamlet located in Taktser, Amdo, northeastern Tibet. At the age of two, the child, who was named Lhamo Dhondup at that time, was recognized as the reincarnation of the 13th Dalai Lama, Thubten Gyatso. The Dalai Lamas are believed to be manifestations of Avalokiteshvara or Chenrezig, the Compassionate Buddha and patron saint of Tibet. The Buddha Chenrezig has promised to work for the welfare of all living beings until they have obtained the highest degree of enlightenment. 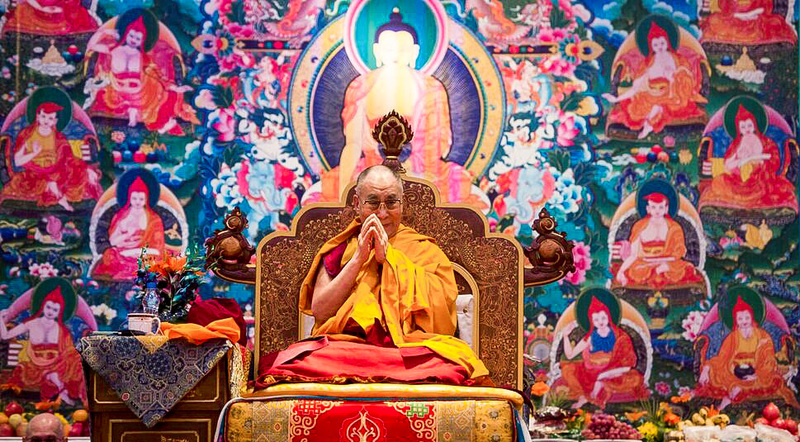 In addition to being the spiritual leader of Tibetan Buddhism, His Holiness the 14th Dalai Lama has dedicated his life to offering contemplative dialogues on the subject matters of Science and Buddhism, Education and Secular Ethics, Compassion and Universal Responsibility, as well as Ethics in the fields of Environmental Sustainability, Global Warming and Leadership. He has unbiasedly embraced the essence of all religions, as loving kindness and caring which our 21st century society is in much need of. And he has included in his message the value of all religions, i.e. the recognition of the value of loving kindness and caring, as a benefit to all humanity. In all these areas, he regards humans as possessing common basic values, and for this reason, he sustains that we must work together in peace for a better world. His work in all these areas has made him one of the most influential figures of the 20th and 21st Centuries. First and foremost, as the Spiritual Leader of the Tibetan people he has compassionately cared for the Tibetan community in exile while tirelessly advocating for the human rights of Tibetans in the motherland, Tibet. He has also recognized the value of democracy and established a democratic system for the Tibetan people, putting an end to the historical tradition of the Dalai Lama’s political leadership. Since 1959, His Holiness has received over 84 awards, honorary doctorates, prizes and accolades, including the Nobel Peace Prize (1989), International League for Human Rights Award (2003), Honorary Citizenship of Canada (2005), the US Congressional Gold Medal (2007), the German Media Prize (2009), the International Freedom Conductor Award (2010), and the Templeton Prize (2012), in recognition of his tireless work toward the promotion of peace, human values, non-violence, inter-religious harmony, universal responsibility and compassion, climate change, environmental science and science of the mind. His Holiness has also authored more than 80 books and traveled to more than 62 countries spanning 6 continents. In the field of science of the mind, His Holiness is a pioneer and has made far reaching contributions toward building a unique relationship between science and Buddhism – where science and religion interact for the advancement of the understanding of the mind. He initiated the scientific exploration of compassion. He challenged scientists to think about the scientific study of the nature of reality. He has built a bridge that has extended the exploration and comprehension of the subject matter of the nature of reality through scientific inquiry. And he has expanded the reach of Buddhist cognitive science rooted on the rational inquiries of Nalanda Science. His Holiness persistently speaks on the importance of an ethical approach to environmental protection. Peace and the survival of life on earth as we know it are threatened by human activities, which lack a commitment to humanitarian values. He often refers to ignorance, greed and lack of respect for the earth’s living things as the cause of the destruction of natural resources. From this perspective, and with a genuine sense of caring for the environment, His Holiness has built a platform for dialogue on the science of climate change and the subject of environmental responsibility. 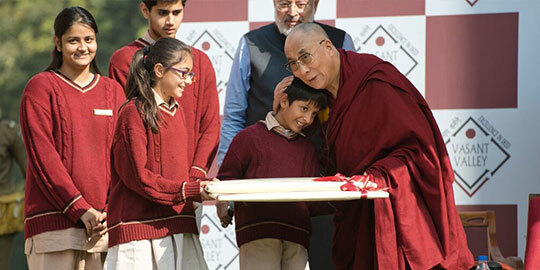 His Holiness is a strong advocate of Environmental Science. He is sincerely concerned about the global impact of climate change, and has for decades urged the world to improve the quality of our environment for our future generations. His Holiness has forged the idea that religion alone is no longer adequate as a basis for the fostering of ethics, and has become a strong voice for the promotion of Secular Ethics, according to the Indian definition of the words, which is defined in a broader sense as part of basic human moral philosophy, valuing all humans including non-believers, and respecting all religions through genuine and unbiased compassion. His Holiness the Dalai Lama is a man who lives what he teaches, and his teachings on universal responsibility, ethics, compassion, environmental issues and science of the mind have become great inspiration and encouragement to millions of people around the world. He constantly reminds us that we are all taking part in a special journey, so each individual has the moral responsibility to make the ecosystem that is our planet a better place. Together we bring great changes into our world. 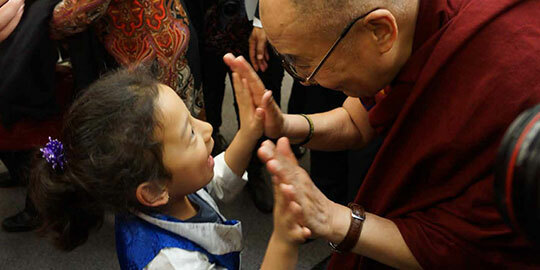 For more information about His Holiness the 14th Dalai Lama, please visit his official website.